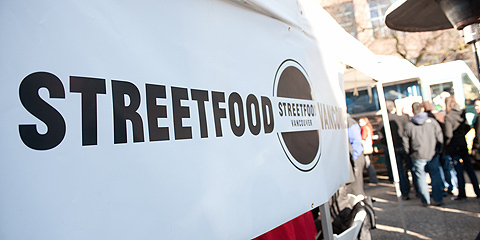 Returning for a third year, Street Food City III; Vancouver’s original street food gathering, is your opportunity to sample from a collection of Vancouver’s Street Food carts all in one convenient location. This was a huge success the last two years and now it’s back again!! BTents, tables, seating and music make for a festive mid-winter outdoor festival! Gather and feast on delicious food prepared by over 15 of Vancouver’s food truck vendors. Special Dine Out Vancouver Festival creations and pricing will be available. Last year I went on a hot chocolate binge during the Hot Chocolate Festival. I hit up a few food carts during the Street Food Festival and then to Secret, Bel Cafe, Blenz and a bunch others to try out their delicious cocoa awesomeness. This year’s Hot Chocolate Festival there are 24 participating restaurants and over 60 different kinds of hot chocolate drinks for you to choose from. Event runs from January 18 – February 14, 2014. The culinary countdown has officially begun and it’s time to start prepping. Tourism Vancouver’s annual Dine Out Vancouver Festival is just over one month away – and it’s the perfect excuse for locals to rejuvenate after the post-holiday slump by indulging in a culinary staycation. With event tickets and hotel bookings available for purchase this week, diners can start building a personalized experience guaranteed to satisfy tummies, pique the palate and create unforgettable Dine Out memories. The full list of participating restaurants and their menus will be released to the public on January 6. • Soup Project . At Dine Out’s kickoff event, 50 of Vancouver’s top chefs will each toss an ingredient into a boiling pot – and the entire city is invited to taste the result. Talk about a food-fuelled adventure! • Six Course Discourse. Curated and emceed by popular local blogger Follow Me Foodie, this delectable discussion features six of Vancouver’s top chefs – including Vikram Vij, Hamid Samilian and John Bishop – chewing the fat about all things culinary. Reception and wine tasting included. • Film Feast: Jiro Dreams of Sushi. Grab your gourmet popcorn and journey to Japan during the Shangri-La’s exclusive screening of this foodie film classic in the hotel’s private 36-seat theatre – then settle in for a Jiro-inspired four-course feast at MARKET by Jean-Georges. • The Snowshoe Fondue. There’s nothing cheesy about this cozy snowshoe and fromage-focused fondue at Grouse Mountain. • Plated & Paired at the Public Market. A rare, after-hours opportunity to taste the best of Granville Island paired with BC VQA wines. • Street Food City III. Third time’s the charm for this lunchtime assembly of Vancouver’s diverse collection of food carts, which will congregate at the Vancouver Art Gallery plaza. Hotels taking part in the 2014 Dine Out Vancouver Festival feature rooms priced at $78, $108 and $138 (per room, per night), and many have also developed palate-pleasing culinary packages that include three-course dinners, luxurious accommodations and handy amenities like valet parking and late check-out. Dine Out room bookings are available for stays taking place January 17 through February 2, and can be booked through www.dineoutvancouver.com. Dine Out Vancouver is back for it’s 12th anniversary. Menus will be revealed on January 6, 2014 on the Tourism Vancouver website. 3 course prix fixe menus ranging from $18, $28, $38. There are also many events and discounts around Dine out Vancouver, including hotel discounts and Eat St, a food cart festival. Make reservations, it gets booked up fast. Get your breath mints ready, The Sharing Farm’s 5th Annual Garlic Festival is back this August 25th at Richmond’s Terra Nova Park. Open to all ages, this free event combines organically grown artisan garlic and garlic goods with family friendly activities like: live entertainment, cooking demonstrations, exhibitors and everyone’s favourite, garlic ice cream. Kids Activities with demonstration honey-bee hives, hay pile, crafts, and more! Free Admission! Free Parking! Free Valet Bicycle Parking! The Sharing Farm’s annual Garlic Festival is the only garlic festival in Metro Vancouver and the place to be for garlic lovers. This is a great family event so mark your calendar and plan to spend a few hours. Festival highlights from previous years include artisan garlic sales, garlic ice cream, cooking demonstrations, live entertainment, fun kids activities, local exhibitors, and food vendors. For several years, The Sharing Farm has hosted the only Garlic Festival in Metro Vancouver and the largest agriculturally-based festival in Richmond. Bringing together great food, great music and great garlic, this free event is open to all ages. Come shop, eat and enjoy the beauty of Richmond’s multiple award-winning Terra Nova Park. Even with threatening rain clouds and a very small advertising budget, last year’s festival was attended by over 2,000 garlic lovers. This year we anticipate between 2,500 and 3,000 guests to our largest single fundraiser of the year. Get your taste buds ready. EAT! Vancouver, 11th Annual Food Event is almost here. You get to sample a huge variety of food and spices, and drinks, brush up on your cooking techniques from celebrity chefs like Chuck Hughes on the Celebrity Stage. I attended the EAT! Vancouver pop-up cooking classes by Pacific Culinary Arts and I can say it was well worth it. For $28 you get a 1 hour hands-on cooking session on the topic of your choosing eg brunch staples, or how to create perfectly balanced sauces, cooking and baking gluten free, sharpening your knife skills.